I had to post these three photos in a row. I have already previously posted two of the three, here and here. 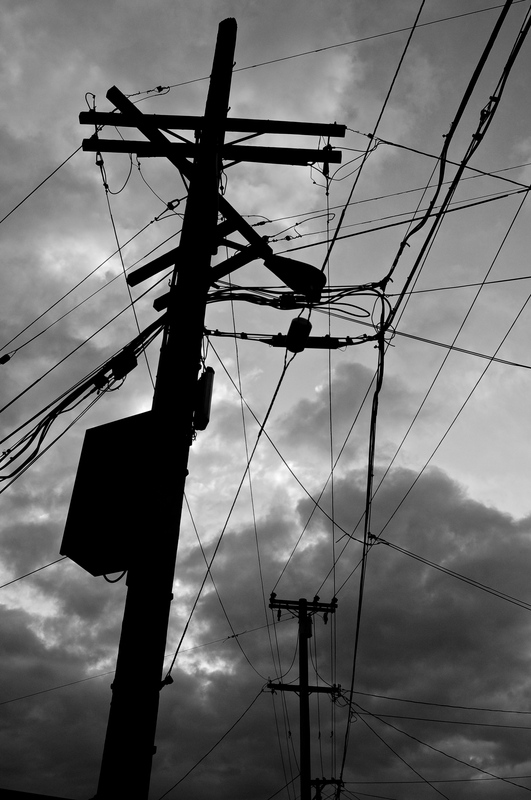 If you had to choose, how do you prefer your telephone poles? 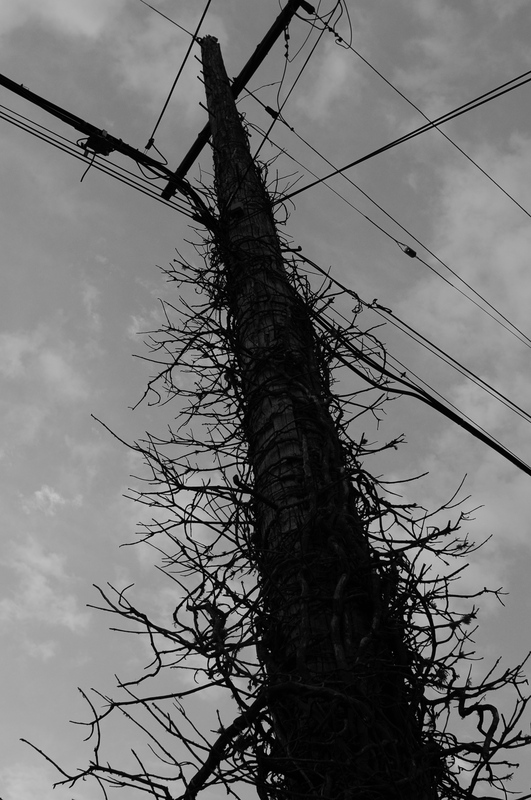 And isn’t it interesting that we still refer to these as telephone poles despite the fact that no one uses telephone landlines anymore. These are not just telephone poles. If you look at the top wires on your wonderfully be-ivied example, you will see heavy-duty insulators. 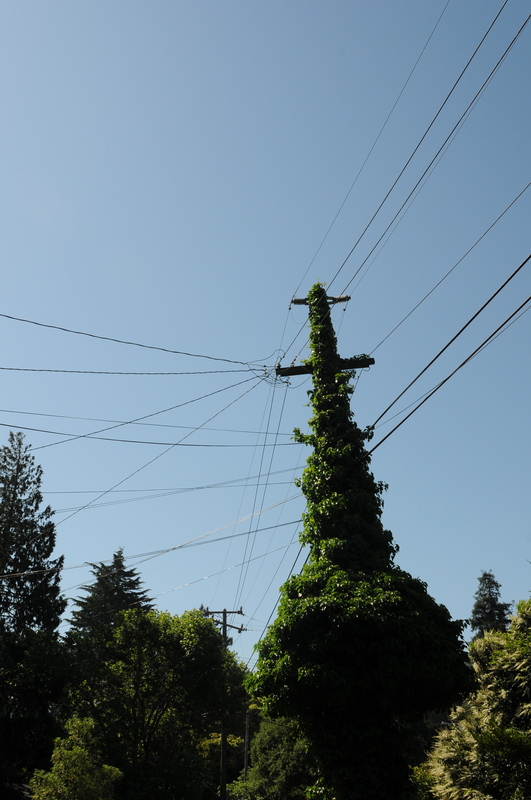 These wires will be carrying 30 – 70 Kv. When the ivy reaches them … wham!